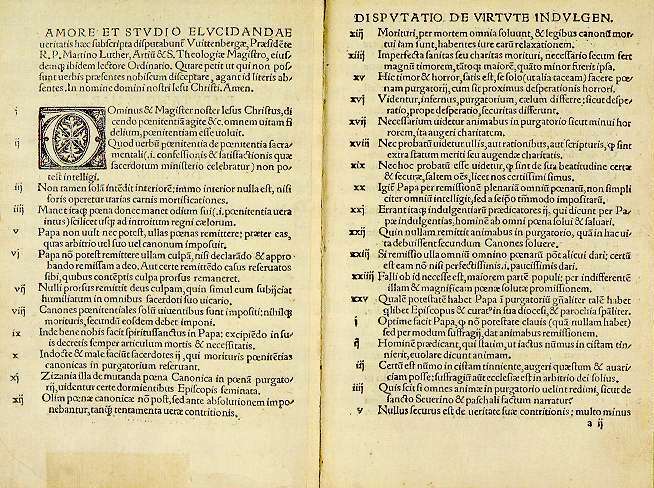 In 1517, Martin Luther challenged students and clerics in Wittenberg to a debate about the Catholic Church’s selling of indulgences in exchange for salvation. He wrote the controversial Ninety-Five Theses on the Power and Efficacy of Indulgences and nailed its pages to the door of Castle Church, an act which many regard as having launched the Protestant Reformation. Luther was excommunicated from the Catholic Church four years later. During the Seven Years’ War, much of Wittenberg was destroyed, but Castle Church was rebuilt in the 1800s and the text of Luther’s Ninety-Five Theses was inscribed into the church’s front doors. Inside the church, Luther’s tomb is joined by the tombs of two other Protestant thinkers, Phillip Melanchthon and Frederick the Wise. Other Wittenberg attractions include Luther’s restored house; St Mary’s Church (or City Church) where Luther preached, was married, and had his children baptized; and the house of Phillip Melanchthon, Luther’s collaborator.